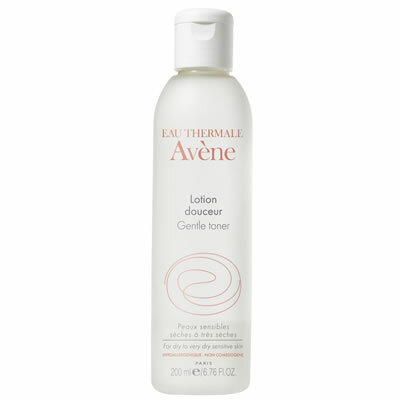 Avene Gentle Toner is the perfect toner for normal to dry sensitive skin. Avene Gentle Toner has a unique silica rich formula that softens the skin as it tones. Rich in Avene Thermal Spring Water this toner gently soothes and softens whilst completing the cleansing process and creating perfectly clean and fresh skin. Unlike some skin toners Avene Gentle Toner respects the skin's natural pH and is alcohol free, for a gentle and effective toner. Avene Gentle Toner also contains silicates to help soften and protect the skin from external aggressions and helps to rebuild the skins ability to look and feel fantastic. Avene Cleansers, Toners, Masks and Exfoliators are the perfect start in your skincare regime and are formulated for sensitive skins, whether they are oily or dry. Avene Cleansers, Toners, Masks and Exfoliators are soothing skincare solutions that condition and help the skin to regenerate, for a radiant and comfortable complexion. Based on the expertise gained at the Avene Hydrotherapy Centre and extensive scientific data, Avene Dermatological Laboratories developed Eau Thermale Avene, a complete range of dermo-cosmetic skincare products formulated with Avene thermal spring water.